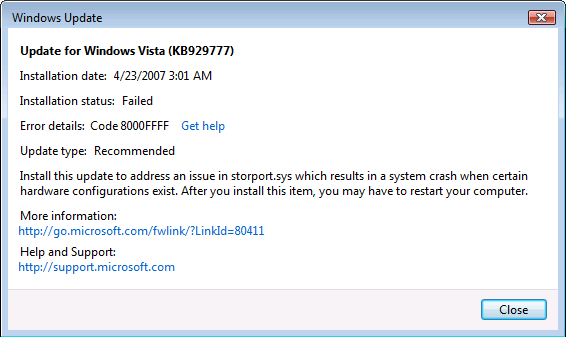 Error 8000FFFF results on Windows Vista machines with 4gig of RAM. As of this writing there's no resolution to error 8000FFFF on a Windows Update. As with most errors, it's fairly obscure with just an error code: 8000FFFF. And the programmer in me didn't hold out much hope for that error code telling much, since it looked like a "default" code; in many programs "FFFF" is often used as a generic "something broke" error. The programmer in me was right. Clicking on the "Get Help" link got me a lot of help ... on totally unrelated errors. And that's how it remains today. "But for now, I wait." As you can see from that error log entry it references "when a certain hardware configurations exist". The hardware configuration? When I ordered my computer I decided to max out the RAM from the beginning, and on this machine that's 4gig. Unfortunately the very condition that this particular update relates to is apparently preventing it from installing properly. And, as of this writing, there's no update. As you can see, Vista reports 3.3gig, and not the 4gig of RAM that's actually in the machine. It'll be interesting to see how quickly they resolve this issue. Can you temporarily remove some memory from the system, possibly bypassing the error which prevents it from fixing the problem in the first place? Ke's advice sounds good. If you take out two gigs, install the update, and then replace the two gigs, that seems like the logical route to solving the problem. when the memory is re-installed. > 4gig of RAM that's actually in the machine. That's not actually a symptom of this issue, it's a fundamental limitation of 32-bit operating systems. You have a 4GB total address space, which is distributed between Video memory, BIOS, IO cards, networking, PCI hubs, bus bridges, PCI-Express, and finally physical RAM, which only gets the last bite of the pie. In practice, the upper limit for addressed RAM seems to be about 3.2GB. http://www.vistaclues.com/reader-question-maximum-memory-in-32-bit-windows-vista has more info. One thing to try with errors on a new Dell is http://www.pcdecrapifier.com/, which removes some of the crap Dell preinstalls. Maybe one of Dell's buggy 'utilities' is loading storport.sys or something and preventing it from being updated. Have you tried running the update in safe mode? (BTW, why aren't you running Aero? I Googled the Latitude D620, and it comes with an Intel GMA950 graphics chip which definitely supports it). Had the same problem. Vista will only see 3 gig of memory in the 32 bit version. If you want more you need to use the 64 bit version. Once again I have to show my ignorance. I think I'm slightly more than a beginner but way less than an intermediate computer user. When I read about problems like this I have to ask, "Why didn't Microsoft see this during the years of Beta testing and have a fix for it?" Obviously, since there are other forum postings, this is not an isolated instance. What exactly goes on during Beta testing and who decides what fixes will be implemented? bugs get introduced in the process. single bug, your product would never ship. What interests me is that I found the same information elsewhere. Sort of curious why Dell is selling computers with that much memory. You would think they should know the limitations of 32 bit processors or at least ship with the work around. The soup gets thicker - it turns out that many motherboards that host 64-bit processors have 32-bit address limitations - DOH! For example, my system uses the NVidia nForce4 Ultra chipset. It's performed beautifully for me for the last two years. The machine is currently host a dual-core, Athlon 64 CPU. But even if I were to install the 64-bit version of Vista, I'd never see all four gigs of RAM. It turns out that the chipset only has a 32-bit addressing scheme. Vista will never see all four gigs on this box - even the 64-bit version. Bwah! Guess I'll stick with two gigs. This is probably why we never buy a new operating system until it's at LEAST 6 months old. Does anybody actually believe that Microsoft is capable of designing a program that's NOT full of bugs??? Look at all the security patches for Vista, the so-called "impenetrable" OS, and it's been out a whole 3 months! Here is the answer to your problems. Go to your control panel under add and remove programs you will see a hot fix for kb929777. Uninstall this hot fix. Windows will tell you to reboot, do it. Download the kb929777 for the windows website not the auto update site, (if you do it will install the hot fix first before the kb929777 and then kb929777 will not install again). After successful update you will need to reboot. check for updates( there should be none and your history should show successful update on the kb929777. I also took out 3 gb of mem. before I did this but before it would still not download until I removed the hot fix, so I DO NOT KNOW IF YOU NEED TO REMOVE THE MEM. FIRST. But try it with the mem. in first and it may save you a step. Thanks, that had me confused for a while. I have 2 gigs of RAM. I get the 8000FFFF error message with no error description; just the number alone. I have automatic update activate. My last updaste is May 31, 2007. Today is June 13, 2007. Will I ever be able to update? I also have 2GB RAM, the max my Presario allows. (After bootup I have about 1.5GB.) The first time I got this error, 5/22/07, it was for Vista Update KB936824, but Windows Defender deinition downloaded at the same time installed successfully. After a couple tries and failures, I thought it may be because I don't use an iPod, so I hid it and forgot it until 6/12/07 when updates KB931213, KB933566, KB936825, KB929123 failed, and continue to fail with that 8000FFFF error code while Windows Defender defs and Malicious Software Removal Tool continue to install without problem. Somebody needs to kick the Windows Update team into high gear because these updates address security issues. Since my post of 6/15, things got so bad that every time I tried to check for updates, it kept telling me that I needed to download a new windows update. When I tried this, I got the same error code. I haven't been able even check for updates,let alone install one, not even using a stand alone installer package(*.msu). That is until today. At the point of resorting to full recovery, I tried one last thing. I right clicked on Computer on the Start Menu and chose Manage. From the left colomn I chose Services and Applications, then selected Services. After selecting Windows Update, I clicked on More Actions on the right(under Windows Update). I tried refresh, restart, then I chose Properties and changed the startup type from "Automatic(Delayed Start)" to "Automatic" clicked Apply and Rebooted. I don't know if any of my actions had anything to do with it, BUT, when I logged back on I got a notice to install the new Windows Update. When I clicked Install it not only installed, but checked for updates and successfully installed all the updates that had previously failed. Its good to be up to date! Still don't know what "Windows Update error code: 8000FFFF" means, good luck. it still comes after following all steps .When can we get a resolution. 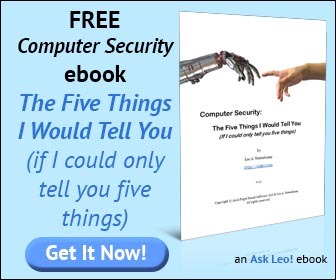 The problem seems to be limited to DELL computers and their version of Windows Vista. I have an HP system with 3 gigs of memory same as dell but the HP actually has no problems at all. Works perfectly. I've also had some software compatibility issues on the Dell which I don't have on the HP. First of all, after reading numerous posts regarding the dreaded 8000FFFF error, I feel like my brand new laptop was born into this world with a rare, incurable disease. Can we start a pledge drive or something for the victims of Vista? Anyways, one of the many promising solutions calls for the uninstallment of kb929777, then a manual reinstallment after that. Well my Inspiron 1520 won't let me uninstall the hot fix. any way around this? I am the administrator. Oh, and my 8000FFFF error comes up after I click the "Check for Updates" box and sometimes after I click the box, nothing happens and it gets stuck in an eternal search for updates. For merely pennies a day, you can help save this notebook. 2. DO NOT upgrade, use your KEY to install a fresh copy. 3. VISTA will create a new folder called Windows.old in C: "C:\Windows.old"
In this folder all of your previous programs and drivers will be stored, however you cannot use the programs anymore. 4. To re-install your factory drivers just go to the device manager click on the desired hardware and search your HDD in the "C:\Windows.old" directory. 5. Windows will find the driver and install the device. ALL the factory installed help software/drivers and programs are deleted. Have to re-install. Confirmed working for me; just got done downloading 28 updates and installed successfully. Anyone else have any luck with this option/solution? i've also a HP (nc8430) with 2 gigs RAM. and vista shows me the same errormessage. i searched also in other forums, but i didn't get any answer for my (our) problem. Here is the solution that worked for me getting the same exact error (8000FFFF in Windows Update). The solution below is from a guy at Microsoft. My best advise would be to write down this fix because it also works for the 8007000b error in Windows Update. I usually have to do this once every month or so. and it didn't work for me. I found this at Microsoft TechNet and it did the trick for me. 3) Providing they do exist, back up the Components key, then delete the three above values. 4) Restart the computer, and Windows Update should now be working fine. I have tried all of these, have contacted HP and Microsoft. At least the HP people tried to help, never heard word one from MS in 3 weeks!. I am returning my computer for a Mac. regedit: delete or rename (eg add OLD to the end ) the string "AdvancedInstallersNeedResolving"
Be safe backup your registry first though !! !No liability accepted if you screw your system. Go to Control Panel click on Programs in Programs and Features, click on View installed Updates. 1.Scroll to the hotfix KB929777 and uninstall it. Keep trying that until it installs successfully. I cant Find HKLM\Components /AdvancedInstallersNeedResolving in Regedit. Where do i go in here ? PS: ive tried all sergestions. By the way the issue with only 3.326Gb is if you have Vista 32bit installed this is the maximum th eOS can see and use as with ALL 32bit MS OS`s if you have 64Bit OS you will see the full 4gb. Hope this helps in some way. Be warned if you use a 64bit version of Windows that many hardware manufacturers don't make 64bit drivers. It's the reason I use 32bit Vista on my machine. If hardware manufacturers would just open their specs up, it would be a win for everyone. Tried Sudheer GN's suggestion, didn't work for me on a Dell Vista Ultimate 64-bit with 16 GB RAM. But then I tried the fix suggested by Aval, which was, uninstall update KB929777, then restart, then update, then restart. I've restarted twice since then and both times it's told me that all updates have been installed correctly! And then after trying some convoluted method on another site in which you have your machine pretend that it has less RAM than it actually has...that one caused a blue screen of death, and I was dang lucky to be able to get things back to normal, since the instructions on that site for getting back to normal didn't work! Apparently the KB292777 DOES install correctly, but Vista for some reason doesn't recognize that it's installed and so keeps prompting you. But it shows up in the list of updates you can uninstall, so it must just be some notification bug. Thanks again, that lousy error message was driving me nuts. I have the exact same problem, and no clue on how to fix it. Disable windows defender, firewall, automatic updates. Turn off system restore. Run disk clean up. reboot. manually run windows update. after all updates have completed, enable defender, firewall, automatic updates. I got a computer from someone with Vista Home Premium pre-installed. I've been running the gambit of update error codes, too, starting with 80073712 and now 8000FFFF. I followed the various instructions to try to remedy the 80073712, and when all said and done I end up with 8000FFFF. So, from what Leo says, I went from a rather specific error code (which I couldn't find much info about on the net) to a generic error code. They have a hotfix for Ultimate and Business version to correct something like this. I tried d/l'ing it to see if it would take on Home Premium. Nope. It's smart enough to tell which version you're running, so even if it was the same fix, because I'm not using Ultimate or Business, I get shut out. Apparently Home Premium users (or folks on lesser versions) aren't considered high priority, because folks on the net have been hollering about this issue for some time now. Hey, I have a laptop and have been trying to install the updates required and keep getting the Error 8000FFFF when I click on help it gives me alot of information that I can't understand and I have looked on my Trend Micro PC-cillian and it is saying that the secruity patches need to be installed I try to do that also and it keeps coming up with Error 8000FFFF what can I do to fix this apart from taking it back to the retailer that we brought it from? Thanks for any information you can provdie for me. When will Microsoft fix the 8000FFFF error. -- Should we wait or take Vista off the computer. ?? 8000FFFF - Generic Unexpected error. After checking the Windows Update log which was attached when submitting the case, I found the error code 0x8000FFFF. 2. Some registry keys are corrupt. In order to narrow down the cause of this issue and resolve it, please refer to the following steps. After completing each step, please check the result again on the Windows Update website. NOTE: Some third party programs can affect the Windows Update service. If you are running any third party applications such as Spyblocker, Internet or web accelerators, programs designed to boost the speed of the Internet connection, security or anti-virus programs (Norton, McAfee, etc.) I recommend we temporarily disable or shut them down and then try accessing Windows Update later. Please understand that we are disabling these programs only for the purpose of troubleshooting and we can re-enable them after we finish troubleshooting. This problem may occur if the Windows Update Software distribution folder has been corrupted. We can refer to the following steps to rename this folder. Please note that the folder will be re-created the next time we visit the Windows Update site. 2. Click the "Start" Button, click "All programs", and click "Accessories". 3. Right-click "Command Prompt" and click "Run as administrator". Note: Please look at the cmd window and make sure it says that it was successfully stopped before renaming the folder. However, if it fails, please let me know before performing any further steps and include any error messages you may have received. 5. Click the "Start" Button, in the "Start Search" box, type in "%windir%" (without the quotes) and press Enter. 7. Right-click on the folder, select Rename and type "SDold" (without the quotes) to rename this folder. Note: Please look at the cmd window and make sure it says that it was successfully started. However, if it failed, please let me know before performing any further steps and include any error messages you may have received. 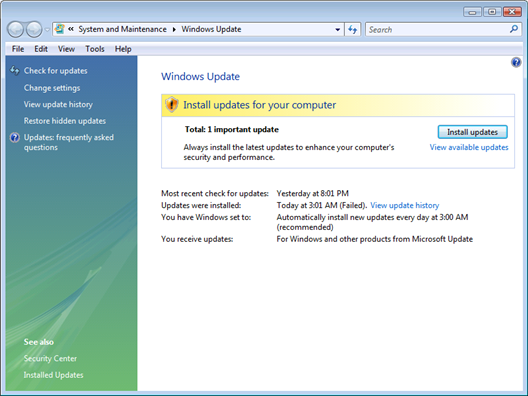 After that, let's access the Windows Update website to check if we are able to get updates this time. If not, let's proceed to Suggestion 2. Before we go any further, let's backup the registry key first. 1. Click "Start", type REGEDIT in the Start Search bar and press Enter. 2. Select "My Computer" (the root node) on the left pane, under the "File" menu, click "Export", under Export, choose "All Export" range, and select "Desktop" in the Save in box and type "backup" as the File Name. Click "Save". Please Note: If any unexpected issue happens, we can restore the registry key simply by double-clicking the backup.reg file. 5. If so, delete them. After completing the above steps, please restart the computer and try to run Windows Update again. None of these solutions work. I've tried them all and the update KB929777 still fails. I've tried Stopping services like windows firewall, defender, and update service. Then manually downloading the patch from MS and it fails. I've renamed the SoftwareDistribution folder and letting the update service recreate it. Fails to install. I've checked those registry keys. They don't exist. I believe this is related to having 3 or more GB of memory. The Dell XPS Laptop I'm trying to update has 4GB RAM and shows 3.5GB. All I want is to exclude it so that I can image this thing and drop on about 10 similar systems. How Microsoft can release such a problem with no solution is beyond me. And I've spent hours reading solutions posted all over, and none work! 4 GB of memmory will only show up if using a 64bit OS....32Bit OS's can't see all of the memorry. We understand 32 bit memory addressing. The issue is the error messages, interruptions, and hassle. DOS is such a pathetic OS. Oh, did I say DOS? All the "window" dressing in the world won't make Windows a useful OS because of the hoops it has to jump through to manage memory. I'd buy a Mac if I could justify the cost. I have 4Gigs and I'm having this problem. I just bought my dell 1720 and ran into so many problems with Vista that I tried installing XP. I got it on my computer but there was no way to download all the drivers it needed. I couldn't even connect to the internet. It was a mess, I had to a call Dell tech, because I'm a total Noob, and they can only help me putting back Vista. Which leaves me here, trying to fix this update problem. ALL 32 bit Os's can only address 4gig of memory max, considering other devices in your pc use memory addressing to you wont see all 4gigs unless you go to a 64 bit os. So its not something that microsoft can 'fix', its simply how computers work, so you might want to edit that part of the page, its noobish. My PC came with Vista installed and only 1 Gig of memory. Cant get of rid of the error either. I just updated my Dell XPS M1710 to 4gig of ram and now I have the same problem. I have never had this problem till I updated the ram. I also just updated my Dell (dimension E521) to 4 gig and instantly started getting the error messages. I've just removed 2 gigs and am attempting the update... Update appears to have worked. This is insane. The best part of this 8000ffff error is that if you search the Microsoft Knowledge base it will autofill the search bar as you type out the error number but there's no information on the actual error code. F You Microsoft and your stupid buggy OS! What worked for lots of others worked for me too. I'm on a Dell Latitude D830 with Vista Ultimate and 4GB of RAM. I downloaded the install file from Microsoft's website (Windows6.0-KB929777-v2-x86.msu) and tried to install it manually. The install failed. I went to Control Panel > Programs and Features > View Installed Updates and uninstalled the update. After the uninstall was complete, Vista prompted me to reboot so I did. When it came back up, I reinstalled the .msu file and this time it succeeded. Horray for the internet. To execute this commend you need to click on Start. Then type cmd. When you see the Command application, right click on it and Run as Admin. Type in the command that's posted above and that should fix the issue. Microsoft has one solution to this problem at http://support.microsoft.com/kb/946414/en-us. This link shows the symptoms, cause, resolution and procedures for editing the Windows registry. Follow the procedures as closely as possible when you get to the 'Components' step. In my Vista they looked a little different. ive got a gateway 3gig with the same problems.i guess that im stuck with a error code 8000ffff .can only tell u that mac is looking better and better to me.why should i have to pay to fix something new and they know about it. my next comp will be mac. from whatever i read this far, its seems all us who are facing this problem have one thing in common - we all have Dell laptops with pre-installed Vista. so someone might wanna consider the possibility that the problem might be with Dell's hardware configurations itself and not with Vista. For some reason when I try to uninstall KB929777 it won't allow me. I get a message saying that the program was not uninstalled. Is there some way around this, so that I can uninstall the update? works for me too i have a vista laptop with 1gb ram. if dont have 4gb ram and your getting this error just by random and not because you changed hardware try this first. it fixed mine fast. Deleting "HKLM\Components /v AdvancedInstallersNeedResolving" worked for me. I had a backup of multiple updates (39 MB worth) that installed without a hitch following the above delete. FYI - I have a 1 year old HP Compaq laptop running Vista Home Premium with 2 gig of RAM. uninstalled the update. After the uninstall was complete, Vista prompted me to reboot so I did. When it came back up, I reinstalled the .msu file and this time it succeeded. Spot on solution Vista Premium 4 GB. I didn't get the error on the machine (Dell XP420 desktop) as received but it cropped up after a rebuild. this prompt worked immediately, THANKS! You don't have 3.3 GB RAM. If you take your 3326 MB and devide it by 1024, you'll see that you only have 3.248 GB of RAM. Also, you can't run 4 GB on Windows 32 bit system. You'll need 64 bit to use all 4 GB. It's not just dell, I have a home made computer with 4 gigs, however in system properties it does report that I have 4 gigs of ram, I guess this is a 4 gig of ram issue? i have the same problem with 8000ffff and it is with an ACER, not Dell. This Vista is driving me crazy with its quirks and downright inconveniences when it decides what it will do correctly and what it does not. Itried various approaches on a clients Acer Laptop (3 gb of ram), none had worked. The fix for me was to delete the registry key, HKLM\Components /v AdvancedInstallersNeedResolving, referenced above. What do you folks suggest we do with a Vista Home laptop, 2 gB RAM and WU error 8000ffff when there is NO registry entry in COMPONENTS id'ed with AdvanceInstallerNeedResolving???? Give me XP Pro anyday. Still I'd like to see some more ideas from you guys if you're willing to share, please. I have a Dell laptop with the same 8000FFF problem and not knowing how to fix computers what can I do now? 2. In the Start Search box, type regedit. 3. In the Programs list, click Regedit.exe. 7. In the File Name box, type COMPONENTS. 8. In the Save in box, click Desktop, and then click Save to save the file to your desktop. 9. In the details pane, right-click PendingXmlIdentifier, and then click Delete. If this value does not exist, go to the next step. 10. In the details pane, right-click NextQueueEntryIndex, and then click Delete. If this value does not exist, go to the next step. 11. In the details pane, right-click AdvancedInstallersNeedResolving, and then click Delete. If this value does not exist, go to the next step. The Wendy's instructions works 100 percent and fix my Acer laptop with Vista . I HAVE A HP G6000, FROM NEW JUST OVER A YEAR AGO NOW. I HAVE HAD THE SAME TROUBLE AS ABOVE, WITH THE SAME ERROR 8000FFFF. I HAVE TRIED DIFFERENT THINGS, BUT NOTHING WORKS, THIS IS DRIVING ME NUTS!. MICROSOFT DON'T SEEM TO HAVE ANY INTEREST IN THIS. I WILL KEEP LOOKING IN THE NET TO SEE IF THERE IS A SOLUTION TO ALL THIS - I WILL NOT HOLD MY BREATH!. Hi, I am recently upgraded from Windows Professional to Vista Ultimate (wishful thinking with the name!) on an IBM T30 laptop with 1gb of memory (when I can get the machine to recognise it!) and have been experiencing the '8000FFFF' problem. I have made the changes suggested and am currently downloading 47 updates!... so thanks ... fingers crossed. As a 'veteran' of computers, I am willing to bet that this is a memory addressing problem, hence the 'ffff's rather than a meaningful error code. But no matter...that's something for the younger 'anoraks' to debate. The downloads are happening as we speak. One question I have is what is the effect of the changes I have made to the registry, i.e. is there a downside, or do I need to re-apply the deleted lines at some point? Follow Wendy's directions and you will be set! THANK YOU!!! I ALMOST WASTED $30 BUCKS ON A PROGRAM SAYING THAT IT WOULD FIX THIS!!! i have the same problem but on an XP, would you know how to solve this problem as well? Wendy's didnt work for me, what did i do wrong? i followed every step. please help. I am NOT a computer guru AT ALL and I was a little hesitant about doing the things Wendy suggested, but took the chance and IT WORKED!!! Thank you Wendy!!! I've been dealing with this issue for over a year and finally took the time to mess around with it before taking it to a computer store for a diagnosis. It ended up installing over 50 updates! Thanks, again!!! You have 32-bit Vista installed. 32-bit operating systems can address a maximum of 3.25 GB of system RAM. I'd recommend installing SP1 as well. Then your first problem will be resolved. 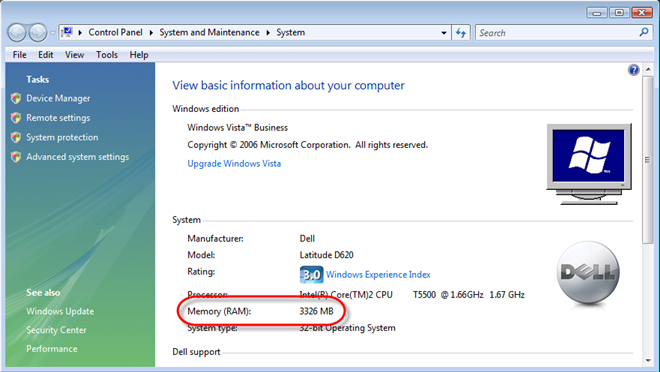 SP1 will display your 4 GB of RAM as well.. but you'll never be able to access more than 3.25 GB. It's mathematically impossible for a 32-bit system to do so. I have a Dell with 6 GB RAM and also have this problem. Where can I find "Wendy's" solution? Is it usable for a techno-dunce like me? okay so i have read just about everything that comes to this error 8000ffff. i found this website and it fixed the problem for me cause i had a HKEY_LOCAL_MACHINE\COMPONENTS\AdvancedInstallersNeedResolving porblem. I tried following the directions from the website left here, and I got up to Step 8 which says this: In the Save in box, click Desktop, and then click Save to save the file to your desktop. i reinstalled vista and when i tried to update windows i got that error message. previously i had reinstalled the antivirus and updated it but i didn't scan the computer which was telling me that i should run a complete scan. that's what i did and ... i don't if that's the problem, but it worked: i managed to download and install the vista updates. delete keys noted in article, run services.msc and stop the windows update service. Go to c:\Windows\ and delete the "softwaredistribution" folder. Restart the system and viola! the folder will regenerate and forget any pending/ failed updates. a 32-bit operating system can only see 3.2GB of RAM, therefore, vista is reporting the correct amount of RAM on your machine. a 64-bit operating system can see more than 3.2GB RAM. This Mcrosoft Fix it solve my problem. Now I can install iTunes and update my windows.